Midwestern Gothic staffer Lauren Stachew talked with author David Trinidad about his collection, Notes on a Past Life, unsettling emotions in poetry, letting poems be and more. David Trinidad: I live in Chicago. That’s about it! LS: You grew up and attended college in California, then spent several years living in New York City. Now that you live in Chicago, how has your understanding of the Midwest changed in comparison to when you lived in the West and East Coasts? DT: When I lived in Los Angeles and New York, I had very little knowledge of the Midwest. It was that vast (seemingly mindless) space I’d sometimes fly over, on the way to either coast, and that I always equated with that Talking Heads’ song: “I wouldn’t live there if you paid me.” Well, I do live here now, and they do pay me. I love the personal space here. After fourteen years in New York, I really longed for a more civilized way of life. People don’t push you here, they’re not always trying to edge you out. In general, I find people quite friendly. There are flowers and trees and this beautiful sky. There’s this real sense of nature. In New York, I forgot that nature existed. That the sky existed! I just never looked up. And in Los Angeles . . . well, you’re always in your car there. It’s strange: I live in Chicago, but I don’t feel like I live in Illinois. What does it mean to live in Illinois? I don’t know! 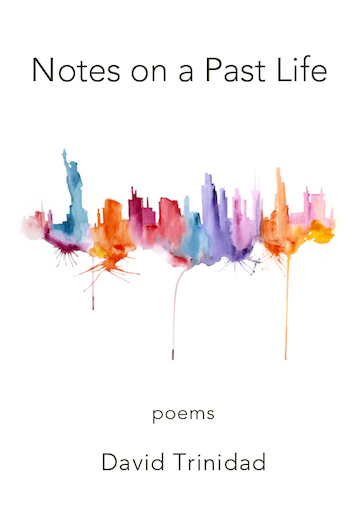 LS: Your most recent collection of poetry, Notes on a Past Life, details your time spent in the New York poetry scene. In a sense, these poems are like memoir-verses, but you describe this collection as more of an “experiment in memory.” How did you begin the process of telling this story? Do you feel that memory and poetry are inextricably linked? DT: Notes on a Past Life began as an experiment — I tried to touch, lightly, on some opaque moments in the past. Remembering a color or an object and letting the poem take shape around that. Before long it grew into a book-length project, and took on a — I hate to say “heavy” — a more “serious” tone. It all became very urgent and intense, to remember the significant incidents and relationships from those years, and pin them down in poems. I think I do believe that memory and poetry are linked. At least they are for me. I seem to need to write poems to make sense of what I’ve experienced. It can take me a very long time — years, decades — to be able to address painful or traumatic experiences. LS: You’ve said in a previous interview that “certain poems should trouble you.” What do you think is the value in poetry that may yield unsettling emotions? Do these kinds of poems reveal a different kind of truth that other poems cannot? DT: I do think they can, yes. These kinds of poems help you see things clearly, or for the first time. They shed light on the dark corners. I know that sounds trite, but it’s true. Poems that can help you live, that you can live by. I imagine such poems are different for each of us, and are not what critics usually tout as “great.” It’s more of a private thing, between the poet and the reader. I like poems that challenge or disturb me, that I have to come to terms with. Obviously I’m thinking of what a poem is saying, its content, rather than any so-called formal or aesthetic innovation. That’s all just surface dazzle. I get impatient with poems that are too evasive. As much as I love James Schuyler’s poems, he does this thing where he gets right to the verge of really saying something revealing but then turns away, goes in another direction. You can almost feel it coming, that turn, that evasion. I prefer poems that go in more directly for the kill, so to speak. One poem that bothered me for a long time is Thom Gunn’s “Famous Friends.” It’s about an encounter with J.J. Mitchell in a gay bar in New York. Mitchell, who is dying of AIDS, is still cashing in on his one claim to fame: that he was Frank O’Hara’s last boyfriend. Gunn is brutally honest in his portrayal of Mitchell as a shallow character. I thought the poem was insensitive, even cruel. I argued with this poem — it really unsettled me — but finally made peace with it. I talked about it with my students and they helped me see it differently. Certain of Sylvia Plath’s poems trouble people, don’t they? I think people find her anger “unjust.” Richard Wilbur says as much in a poem, “Cottage Street, 1953.” That’s another poem I’ve argued with. LS: Your first collection of poetry, Pavane, was published in 1981, and you’ve since published many other collections. How do you feel your writing style has evolved or changed with each collection? DT: My writing has gone through a number of phases over the years, for sure. All along I’ve been in conversation with the poets I’ve admired (though I might not have always known it). I suppose I’ve been drawn to them because they do something that I want to learn to do myself. Touch the reader. Describe something beautifully. Open a window on the creative moment. Engender a sense of intimacy. My recent books seem to take shape much more organically than my earlier books. I try not to overthink what I’m doing. I just do it. My last book I wrote without even trying to write it. It just happened. That was a first. It showed me how fluid the process of writing has become. LS: Do you ever revise your early poems, or prefer to leave them be once they are finished? DT: I revised my early poems for the longest time. There seemed to be so many things wrong with them. I had to fix them! At some point I just surrendered. I had to accept that they were early poems, young poems. I had to let them be. It all moves much faster now. I rarely revise beyond a certain point. You work on a poem, it feels alive, you keep tinkering with the things that bug you. But then it’s done, finished. The door closes. The poem begins to feel inviolable. LS: As a professor of Creative Writing and Poetry at Columbia College Chicago, what is a piece of advice you always give your students? DT: Read as much as you can. Don’t put all your faith in contemporary poetry. The wind, to paraphrase Ted Hughes, will blow most of it away. Read dead poets. Read collected poems cover to cover. Focus on the writing, not the politics. Embrace variety. LS: Which poets have had the biggest influence on your writing? DT: Anne Sexton, Sylvia Plath, Ted Hughes, Ann Stanford, May Swenson, Frank O’Hara, James Schuyler, Alice Notley, Joe Brainard, Tim Dlugos, Amy Gerstler, William Carlos Williams, Elizabeth Bishop, Pablo Neruda, Emily Dickinson. Kind of, but not strictly, in that order. DT: I’m editing Ed Smith’s poems and notebooks. Ed was a wonderful poet, a friend from Los Angeles in the early ‘80s. His two poetry books are long out of print. He died in 2005. I’m also working on a prose memoir. And several other projects. Lately I don’t seem to be as single-minded as I have been in the past. There are a lot of projects in the works. David Trinidad’s latest book is Notes on a Past Life (BlazeVOX [books], 2016). 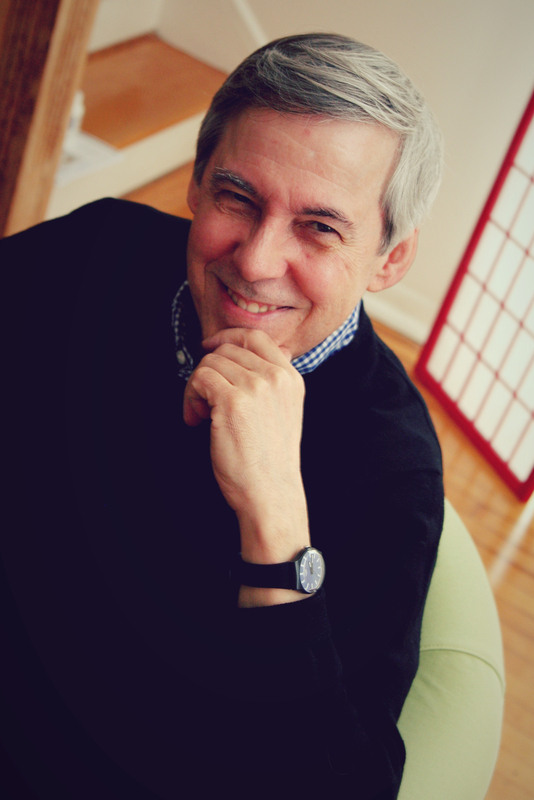 His other books include Dear Prudence: New and Selected Poems (2011) and Peyton Place: A Haiku Soap Opera (2013), both published by Turtle Point Press. He is also the editor of A Fast Life: The Collected Poems of Tim Dlugos (Nightboat Books, 2011). Trinidad lives in Chicago, where he is a Professor of Creative Writing/Poetry at Columbia College.